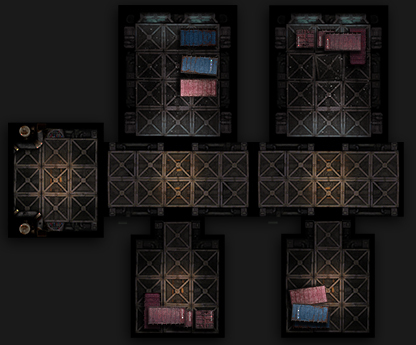 Like my lastest Scythes of the Emperor project, it would appear Games Workshop was thinking the same as I – to go 2D and make a tile game like Space Hulk (here’s mine) and send a team of characters into it to create a series of linked games. Here are the early stage designs so far..
Will I be buying it? Well at $330NZD(! ), unlikely – though I shall seek to obtain the Hybrids, as the Scythes fought a genestealer cult on Graia before the fall. 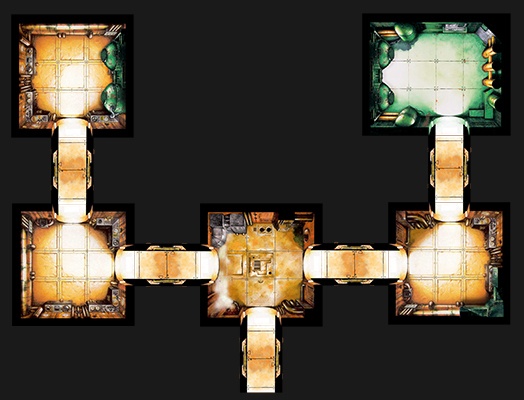 Another reason to comment on Deathwatch is to do with Warhammer Fantasy. With the demise of Tomb Kings, I have gone into overdrive saving funds to buy up everything Warhammer to complete my myriad ideas – because it definitely is all up for the chop. So the Scythes project is on hold whilst I divert funds to buying up Warhammer Fantasy goodies. So far I have acquired a Goblin raiding force, Tomb Kings crypt collection and presently about to flesh out my beastmen. That said, I have not left the Scythes project too idle last few weeks – I have been gathering suitable detailed marine parts, some new souts and a couple of parts to complete unique scout models. 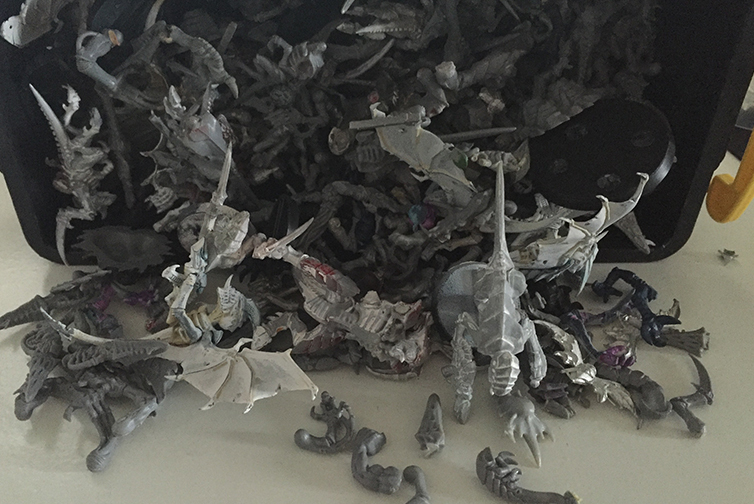 In addition.. a small seed pod’s worth of a Tyranid swarm.. Thank you for your patience, a bit of a quiet birthday celebration as my Marines gaze across the hobby table at the exodus of survivors walking out of international post boxes; finding homes on my shelves from the End of Times Warhammer world. Sigh, the End Times… I still mourn the passing of proud, noble Brettonia. I hope you can nab some hybrids and continue your project, I’d love to see more of it. I’m still undecided about buying it as well, but at the very least it has me inspired to dig out my own Genestealer Cult project as well. Have you read the new black library book pharos? Really enlightening about the origins of the scythes and bloody good read.